No registration – a free and open event. This experiential seminar is the most down-to-earth, practical training available to teach people how to clearly and continuously discern the voice of God within their hearts. Wouldn't it be wonderful to move beyond having a theology that states that God loves you to actually hearing Him whisper words of love into your heart? When you're worried or confused, wouldn't you love to see the situation from His perspective and hear how He wants you to respond? If you are one of His sheep, then Jesus is speaking to you and you are hearing His voice! The problem is that we have not learned how to identify His voice (thoughts) and differentiate it from all of the other thoughts that bombard our hearts and minds. 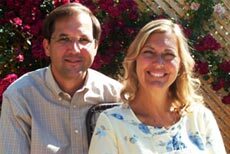 Mark Virkler's teaching on the four keys to hearing God's voice has helped hundreds of thousands of people of every age on every continent clearly and consistently begin to recognize the voice of the Lord within their own hearts. This leads to a deeper intimacy with Jesus as well as greater faith, hope, joy and wholeness. Mark sees himself as a coach, leading you into your own personal encounter with the Lord. 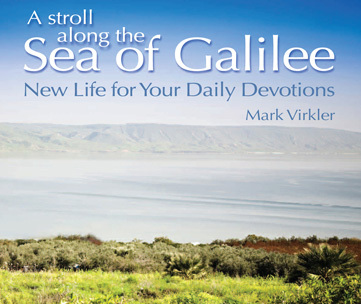 In the workshops, Mark will help set the scene so you can go for a walk with Jesus along the Sea of Galilee. You will ask Jesus questions; He will answer and you will write down what He is saying to you, capturing this flow of thoughts on paper. And you will be taught how to confirm that what you have written is actually the voice of the Lord. We agree with Jesus that His sheep hear His voice, and we guarantee that you will hear Him! Read testimonies from those whose lives have been changed through this training. An example of two-way journaling can be found here. 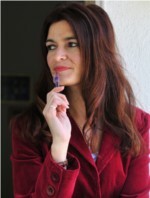 Many additional blogs containing journaling are available here. How to Break Out of the Box of Rationalism and Experience the Holy Spirit! This seminar will bring you into an entirely new way of living as you learn how to live out of the voice of God within. Here are some responses from a survey of people who recently completed our first 3-month training module entitled How to Hear God’s Voice. Eighty percent had been believers for more than 25 years, so these are responses from seasoned Christians and were offered at the conclusion of the course! Mark Virkler is hilarious and transparent as he unfolds practical insights from the Word of God, showing you how to easily interact with the Holy Spirit on a continuous, ongoing basis and how to receive wisdom and power for successful Kingdom living. "I could not hear God's voice for the first 10 years of my Christian life. I tried all the spiritual disciplines that were supposed to work and guess what, they didn't! "I finally had a thought (hint: that was God's voice) that I should take a year and focus on learning to hear God's voice. I did. That year (1979) the Lord taught me four simple keys to hearing His voice. They have worked for ALL who have tried them. I will guide you into using these four keys during several workshops. You will discover that they WILL work for YOU!!!" Hearing God's voice is as simple as quieting yourself down, fixing your eyes on Jesus, tuning to spontaneity and writing." Learn more about Mark Virkler here. Read Deuteronomy 28:1-14 in the King James Version or the New King James Version. These covenant blessings offer an amazing picture of what God has in store for you when you hear and obey His voice. Imagine how much better a parent you’ll be when you apply the voice of God to raising your children! Imagine how much happier and stronger your children will be when they learn to hear from God themselves! You can improve your family’s peace, joy and harmony beyond your wildest dreams by simply bringing the voice of God to the center of your home. Imagine how much more you could accomplish if God wrote your “To Do List.” He will tell you what you should and should not do today, and His priorities are never wrong. He will give you specific counsel for your own unique occupation, and bring you to a higher level of skill and efficiency than you could ever achieve by yourself. When you hear and obey the voice of God, He will open new avenues of prosperity in your life. He will show you creative ways to bring in His overflowing financial blessing, which “you will not have room enough to contain” (Mal. 3:10). Do you know what the key is to victory in spiritual warfare? The voice of God. Don’t waste another minute praying "your" prayers. Release the full power of God by letting Him direct your prayers. He will give you the revelation you need to defeat the enemy, rather than just do battle. Bless your children and family! Be sure to bring your teens and even younger children, ages seven and up. Improve the quality of your family life, and fulfill one of your most important parental responsibilities by giving your children the opportunity to develop spiritual sensitivity that will bless their lives forever. They will enjoy this fun, interactive workshop, and your family will reap the benefits. The experience is full of humor and questions and answers. They will learn to hear God’s voice, writing down what He is saying to them during the journaling times. Be sure to bring them some healthy snacks to munch on and quiet, fun things to do during breaks to keep young children’s minds engaged. Every participant needs a "4 Keys to Hearing God's Voice" LEARN notebook." These are passed out at the beginning of the first session and you take notes and journal in these as you go through the training sessions. For additional background reading, every family should have a copy of the book "4 Keys to Hearing God's Voice." These should also be made available during the first session together. Why Not Offer This Training in Your Home to Your Friends?